If you have encountered a situation of locked iPhone and wish to recover your photos from the device, we are here to help you out. 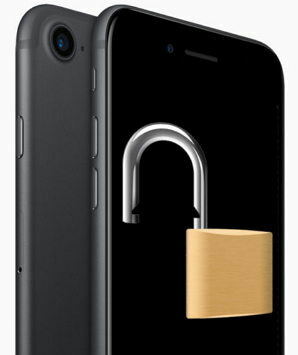 This article is going to introduce you 3 ways with the help of which you will be able to recover pictures from locked iPhone. It's no doubt that your photos carry weight in your device as compared to other data types. So, without any worries and delay, let us move further and get to know the locked iPhone photo recovery ways. Let's throw your gloomy mood away and start scrolling. How to Get Photos from Locked iPhone XS/XS Max/XR/X/8/8 Plus/7/7 Plus/6S/6/SE/5s/5? The best way to retrieve photos from locked iPhone is using Tenorshare Ultdata. It is a professional data recovery tool for iOS devices and one of the most trustworthy tools available in the market. Along with being fully secure, Tenorshare offers full support to almost all types of iOS data be it, text data, media data, app data or attachments. One can use this tool to recover data either from iCloud backup, iTunes backup or even recover when there is no backup at all. It has full power to scan the data and give it back to you either fully or selectively as per your choice. Here are the different step-by-step tutorials to retrieve your photos from locked iPhone. Move further to understand them. With Tenorshare, you can recover your photos easily from an iTunes backup. No matter what iOS device you use, you are allowed to get your photos back easily. Check out the guide below. Step 1 – Download the software and launch it later for recovering photos. From the main interface, choose 'Recover from iTunes backup files' option which is located at the navigation bar. Step 2 – A list of backup files will appear on the screen. Choose the one you need and click on 'Start Scan' to get the file scanned properly by the program. Step 3 – Now, when the scanning gets completed successfully, you can preview your deleted photos on your PC screen. After previewing, it's time for locked iPhone photo recovery. Choose the photos you want by checking the boxes and hit on 'Recover' in the end. As we mentioned a little above, this program has the capability to recover photos from iCloud backup files too, so here we will present you the tutorial for that. Step 1 – As above, launch the software first for locked iPhone photo recovery from iCloud backup. There is no need to connect your device to PC while process is going on. Click on 'Recover from iCloud Backup Files' from the same navigation bar. Step 2 – Now login to your iCloud account. You will get two options for login. For manual login, click on 'Log In' and enter Apple ID and password. And you can click on 'Software Access' option if you've logged into iCloud in your PC earlier. Step 3 – After login, you need to select the backup file and hit on 'Next' to proceed. From the next screen, select the file type i.e. photos to get them downloaded and scanned. Click on 'Next' for further procedure and preview your photos now. Step 4 – At the end, click on 'Recover' and your photos will be recovered easily. That's it! You're good to go now. This software also lets you recover pictures from locked iPhone directly. This is helpful if you don't have a backup. Follow the guide to get the process done and your photos back in your device be it iPhone 4, 5, iPhone 7 etc. Step 1 – Open the software and get your iPhone connected with PC via USB cable. The mode will be selected by default i.e. 'Recover Data from iOS device'. Step 2 – Your iPhone will be detected successfully by the program and will present you the data types in the next screen. You need to select the data type (photos in this case) and click on 'Start Scan'. Step 3 – The pictures will be scanned and come in resulted window. You need to preview them and in the last, click on 'Recover' in order to complete the process of locked iPhone photo recovery. Well! 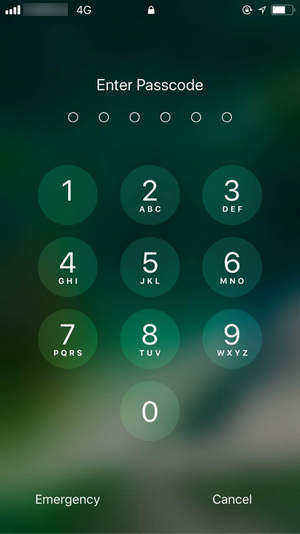 If your iPhone is locked and you're wondering how you can unlock it, we have a solution for it. Tenorshare also offers another product namely 4uKey which we would like to introduce to you to make your phone unlocked when it is locked. Latest iPhone models are completely supported by this software. And there are Windows and Mac versions available with Tenorshare 4ukey. Summing up, when it becomes important to bypass your device in minutes, Tenorshare 4ukey will be the best option to opt for and make your device back to normal. So, this was all about how you can recover pictures from a locked iPhone. We hope you are now well aware with three of the ways we mentioned above. The next time if you fall into the same problem, you can recover your data yourself without getting panic. If this article helped you and your closed ones are also looking for ways to recover photos from locked iPhone, please help them by sharing this article.